If you are one of the many outside the UK who are unable to receive the BBC, ITV, Channel 4 and Channel 5 via satellite, then there are still some options that will allow you to watch for free worldwide. Listed below, are some options to help you view and listen for free. If you know any other good sites or apps, drop me a line. Remember that theses are free services, most are supported by advertising and picture quality is not HD. There are many ways to listen to BBC and commercial UK radio worldwide for free. On your computer, phone or tablet, there are many free options available You could also invest in a Wi-Fi (Internet) radio. I have one of these in my kitchen, where I listen to about 80% of my radio. I rarely listen via satellite. All the BBC’s radio channels are available for free on BBC iPlayer, also to listeners overseas. 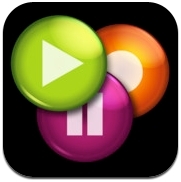 There are BBC iPlayer apps available for Android, Apple iOS and Windows Phones. There are also numerous free radio apps available for Android that offer BBC radio stations. All BBC services are now available in HLS and HDS using the AAC codec. 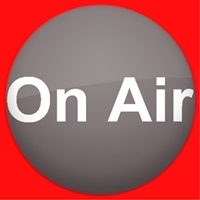 Radioplayer is a free service offering both BBC and commercial radio stations. A few commercial stations may be blocked, not the BBC. Listen to live radio, or browse our catch-up programmes, including hundreds of podcasts from the BBC iPlayer. Radioplayer has everything from news and sport – to pop, rock, indie, dance, jazz, soul, and classical. It’s perfect for listening to football, cricket, tennis, and F1 at the weekend. This is a bit more of a challenge, all the official sites, the BBC, ITV, Channel 4, have to restrict their live TV streams to the UK. So unless you use a Virtual Private Network (VPN), you will not be able to watch their channels through their sites. That said, there are some free options out there, picture quality is not perfect, though you can still watch Corrie, EastEnders or the BBC News. Please remember, these services are free, some contain ads and picture quality is not HD. TVCatchup retransmits free-to-air channels appearing on Freeview and Freesat within the UK. Users can view up to 17 channels live via the Internet. TVCatchup offers a wide range of ways to conveniently watch live television on either your computer, mobile device or tablet absolutely FREE. With familiar television features and access to the UK’s most watched channels including the BBC One, BBC Two, ITV, Channel 4 and Channel 5. TVCatchup is an easy to use service for watching live TV over an internet connection. Although the service is UK only, the TVCatchup is not geoblocked and can therefore be viewed overseas. Apps are available for iOS, Android and Amazon Fire. If you like news then this is a great app, picture quality is goodWitness breaking news from around the world, this free app only includes live streams from English broadcasters. Wherever you are, whenever you want, access the news live from all over the world, international Headline News, Breaking News, exclusive, business, sports, documentaries, debates, Weather forecast and much more. This app performs better over a Wi-Fi network and on Android 2.2 or higher, 2G/3G may be unstable for viewing live streams. Channel available are BBC World News, CNN, Sky News, Arirang TV from Korea, euronews, FRANCE24 (English version), NHK World, RT (Russia Today) and RTÉ NEWS NOW from Ireland. There can be problems with some channels, though picture quality is quite good when using this app over a Wi-Fi network, there are some good international channels and it is rare to find a live Irish channel on a free app.